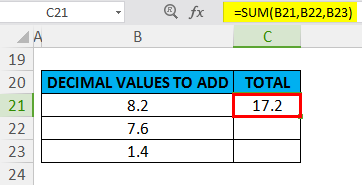 SUM Function in Excel(Formula,Examples) | How to Use SUM in Excel? 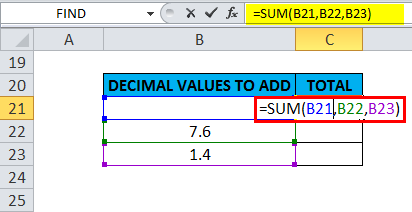 How to Use SUM in Excel? 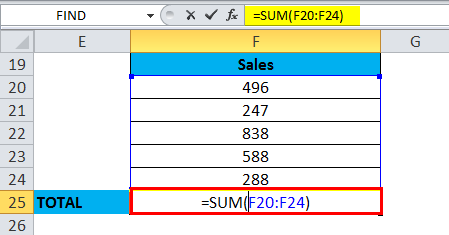 SUM function will sum up cells in a column or row that are supplied as multiple arguments. This SUM is very simple easy to use. 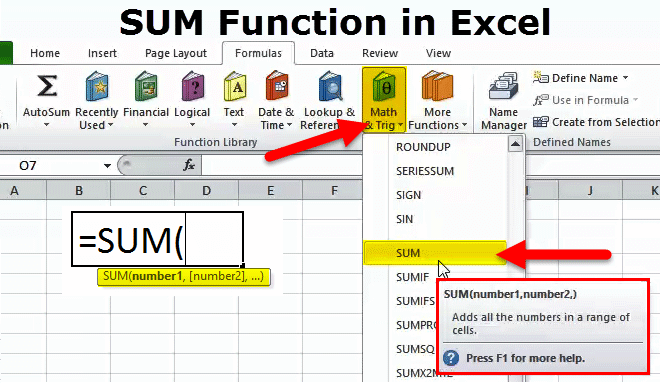 Let us now see how to use the SUM Function with the help of some examples. In the excel sheet, go to the ‘Math & Trig’ option under the Formulas Section in the Menu Bar, a drop-down menu will open up, in that select SUM, fill up the argument for an output. 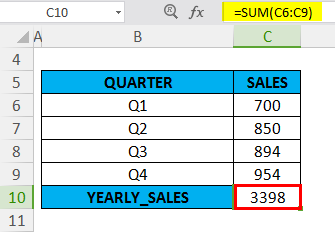 Column C contains quarterly sales values, here we have to simply specify the first and last cell in a range of cells to be added up. In C10 cell, SUM formula is used, i.e. 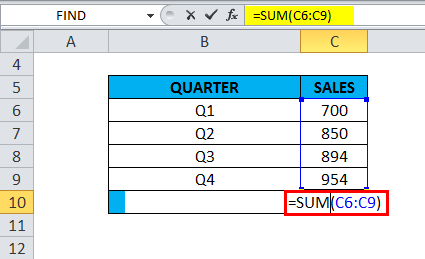 =SUM (C6:C9), We need to select a range from C6 TO C9 to get a total sales data. In the SUM formula, we need to specify four separate ranges in the argument & is separated by comma i.e. 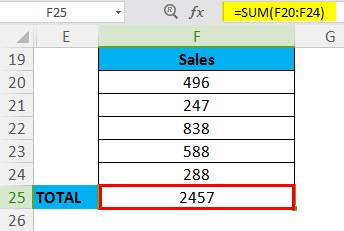 If in a range of cells, one or more of the cells are blank or empty, or it contains text rather than a number, Excel ignores those values when calculating the result. Suppose, if, in a range of cells, values that cannot be interpreted as numbers, (e.g. Text Representations of numbers & Dates, logical values) are ignored by the SUM function.